The first Congress of social workers of Siberia with international participation will take place in West Siberian city Kemerovo. The title of the Congress is «Social workers are the key factor for social welfare of vulnerable people». 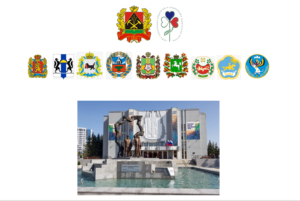 In Siberia we have 10 regions and all of them will send their delegates to Kemerovo. Of course we invite all of those who are interested in participation – both from Europe and Asia Pacific. We have applications from France, Great Britain and Spain already. We welcome those who can come and share the experience. The event will take place 23-24th of April 2019. -Social services for children and families in remote areas of Siberia. You can reach Kemerovo either via Moscow (there are 2 evening flights every day every day. The time of the flight is 4 hours. The time difference with Moscow 4 hours) or via Novosibirsk ( it will take 3 hours for guests to reach Kemerovo by car. Everybody will be met. Transfer is free of charge). Please come and experience Russian hospitality, learn about social services in Russia, visit exotic Siberia, find new friends.